The image depicts the opening of the Schoolroom cafe in the village of Woodham Ferrers in Essex. Mike had been asked by the local community pastor, to go along to photograph the event, having seen him doing so at previous events in the local area. This was Mike’s first commissioning to photograph an event where there would be no second chances if he missed the shot. To quote a famous, and sadly no longer with us, entertainer: didn’t he do well?! This image really encapsulates ‘Community Spirit’ as it shows a community gathering in celebration. 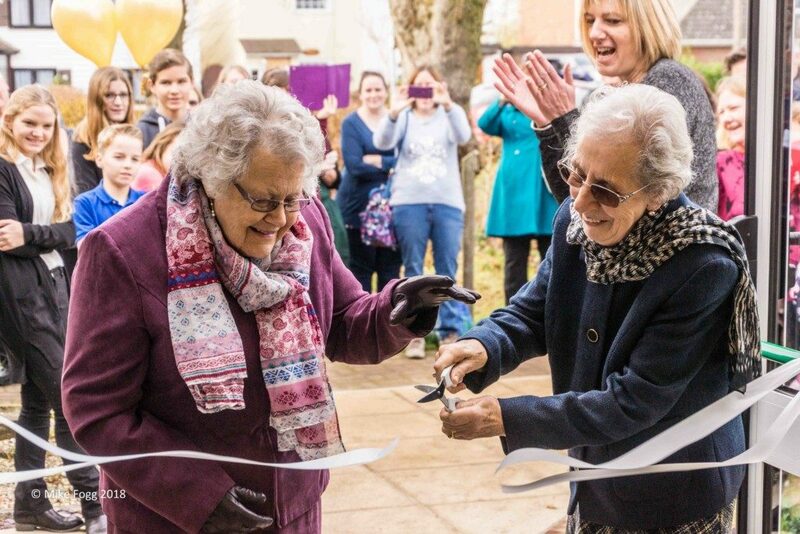 The two ladies, Barbara and Judith, have just cut the ribbon and are concentrating on that, while everyone else is looking at them. From the image, you can tell that the atmosphere is light-hearted and celebratory, showing a community at its best! Mike has had a keen interest in photography since he was a child, but this has grown particularly in the last ten years. He bought a decent camera and completed two accredited training courses at Writtle University College in Chelmsford, and hasn’t looked back. The best piece of advice Mike has been given as a photographer, is to take images and store them on the camera/computer as large file size images – then you have more potential for processing the image and bringing out the very best from it during post production. Mike has some great photography ambitions. The first is to drive across America and create a book of images from the trip. He would also like to photograph Oradour-sur-Glane in France, and Imber in the UK. I’m going to be Googling the images for those places in just a few moments! However, his next projects are a little closer to home and will include Orford Ness later in the year, and Springtime gardens in Kent and Essex as well as some snowy scenes, weather permitting. Mike also plans a trip to Cornwall to capture the rugged coastline. The Cornwall coastline is a natural wonder and you won’t be disappointed Mike! Thank you for sharing with us all the details about your winning image, Mike, and giving us more insight into you, as a photographer! We look forward to seeing more of your inspirational images soon!